there are no other means for doing so. You may also be aware of the fact that their has been a concerted effort, spearheaded by HSUS, to remove chimpanzees from research settings and place them in sanctuaries. But did you know that 69% of Chimpanzees taken from the MD Anderson Keeling Center (MDAKC) to live in a sanctuary have died — most within a few months? Sadly, the fact of the matter is a “good intention” is not enough, and no US sanctuary is staffed or equipped to care for chimpanzees like MDAKC. This blog from Speaking of Research touches on this issue eloquently, using Dr. Cindy Buckmaster, NAIA Board Member and Chair of Americans for Medical Progress as a source. In fact, many of our chimps would fare better if they were allowed to retire in place. And several of these precious creatures have already suffered and died because the NIH would not allow them to do so. The MD Anderson Keeling Center (MDAKC) in Texas has been home to the healthiest, happiest chimpanzees in America for decades. Their living quarters are comparable to, or better, than any US sanctuary, and none of these sanctuaries can compete with the level of care provided to chimpanzees at MDAKC. 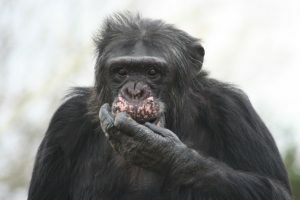 The MDAKC staff includes ten full-time veterinarians with a combined total of 92 years of experience caring for chimpanzees; 6 are specially boarded primate veterinarians, 3 are specially boarded veterinary pathologists, and 3 are specially certified to provide laser and acupuncture therapies to supplement traditional treatment regimens. There are also 22 specially trained, full-time technicians devoted to the chimps’ husbandry, health and behavioral needs, including 3 night technicians. MDAKC also has a full-service clinical pathology laboratory on site that allows for the immediate diagnosis and treatment of animals with health concerns. No US sanctuary is staffed or equipped to care for chimpanzees like MDAKC, not one! In fact, the sanctuary that the NIH is forcing us to send our chimpanzees to currently is not even equipped to carry out its own diagnostic lab work. This is concerning, given the advanced age of many research chimpanzees. Honestly, it would make more sense for Dr. Collins to retire the nation’s research chimps to MDAKC! While we may disagree on the details, we all want to see the animals in our care safe, healthy, and happy. But in our view this is a tragic and clear case of ideology trumping animal welfare, and a story that needs to be told. Maynard, removed from his family at MDAKC, had a fatal heart attack in the sanctuary the day after he was introduced to a new group of chimpanzees. Dr. Buckmaster’s entire article can be found here, with a subscription. 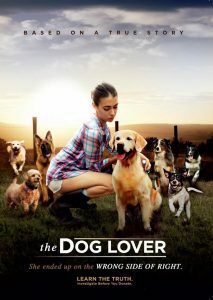 The Dog Lover, a film produced by Forrest Lucas, founder and chair of Protect the Harvest, was recently released into select theaters, and is available through on demand, and on DVD at Walmart. The story is based off of various real-life events, most notably, an HSUS raid on a breeder, where the judge ruled that the search warrant was wrongfully obtained by an animal control officer who intentionally misled the court, and stars Allison Paige, James Remar, and Lea Thompson. SARA GOLD is a rising star at the United Animal Protection Agency (UAPA), a major animal rights organization that conducts animal rescues and lobbies for better animal welfare laws. Handpicked for a major assignment, Sara goes undercover as a college intern to infiltrate a suspected “puppy mill” run by the enigmatic DANIEL HOLLOWAY. Sarah soon ingratiates herself with Daniel and his family, and learns all about the world of dog breeding but is hard pressed to find any sign of animal abuse. The UAPA teams up with local law enforcement and raids the farm, accusing Daniel of the inhumane treatment of animals. Sara finds herself torn between doing her job and doing what’s right, and she awakens to the moral contradictions of her work with the UAPA. If you have even a passing interest in dogs and a curiosity about the worlds of dog breeding and animal activism (especially the big-name animal-rights fundraising groups), we can’t recommend this highly enough! On side note, the film asks its viewers to “investigate before you donate,” a message that is essential if we are going to break through the barriers of propaganda and social media outrage and have a serious discussion on issues of animal care and welfare. With that in mind, it is sadly telling how so many discussions in the online community about this film choose to ignore or reject its message in favor of questioning Forrest Lucas’s background and motives (like this LA Times review that seems rather disinterested in covering the movie itself). We know cognitive dissonance is painful, folks, but part of making intelligent, helpful, and adult decisions is investigating all facets of an issue, even if it involves some of your sacred cows. Click here to see if The Dog Lover is playing near you, to order it online, or to read more about the film! 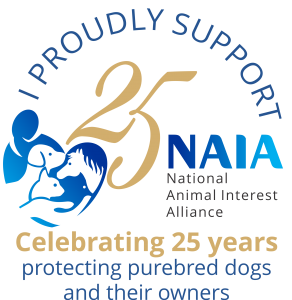 Responsible Rescue, Responsible Breeders: We All Want the Same Thing! Many rescues and humane societies are struggling with the same set of issues that dog breeders were 20-30 years ago, as well as the same quandary: what is the best way to confront bad players and practices in an open and honest manner, and to solve the problems they have created while keeping those examples from defining the group as a whole? On one hand, this task is easier than the one facing breeders, as there are no movements, organizations, or ideologies hell-bent on destroying rescues or shelters. But on the other hand, the task is more difficult due to the age we are living in. Headlines of “Shocking!” “Inhumane!” and/or “Scandalous!” behavior tied to organizations that are supposed to be helping animals are the very definition of clickbait: easy to sensationalize, subject matter that people have a strong emotional investment in, and an example of supposed moral authority figures behaving dishonestly or hypocritically. And on top of that, there is a large — or at least highly vocal — contingent within the rescue and sheltering community that views any form of criticism as an attack that needs to be deflected or quashed, rather than discussed. Excellent, and much appreciated commentary. And this really brings home the larger truth: that we are all after a culture where animals are treated humanely and responsibility, where you can’t simply change your name or label in order to market yourself and/or avoid oversight.